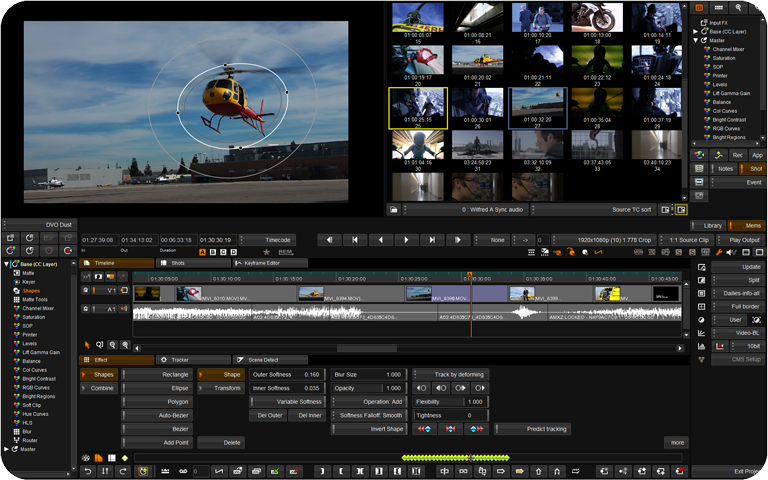 64 bit native application makes use of all available system memory and cope with even the biggest images, including 4K. 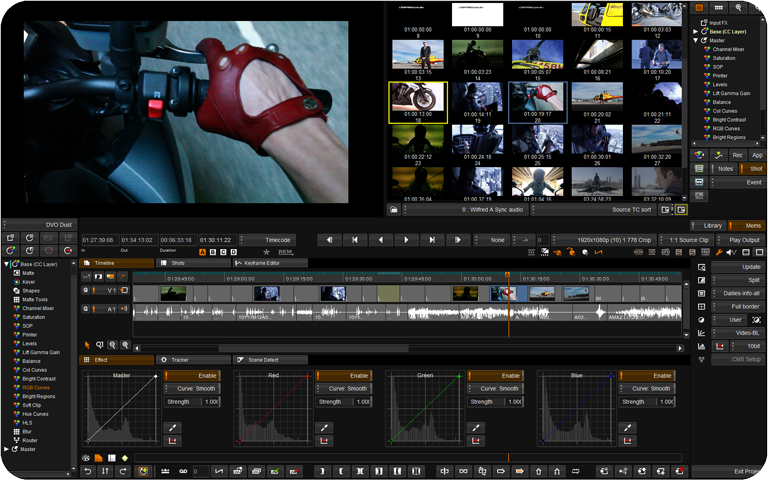 Familiar non-linear timeline layout and processing material in a natural and flexible way, with multiple video and audio tracks. Timeline and shot bookmarks allow for better organisation and retrieval of information. Versioning, easily add different versions of shots to the same timeline. Automatically extract metadata and conform sequences. A powerful library for managing all imported and referenced material with sorting, searching and sophisticated metadata handling. Automatic library folder creation and item naming options on file import based on user configurable metadata extraction. World class interoperability with third-party systems supporting industry standard formats like Avid DNxHD, AAF, MXF and QuickTime. Read and write DPX, Avid DNxHD, MXF and QuickTime formats. The Precision control panel represents the next-generation of integrated work surfaces for Nucoda grading and finishing solutions. 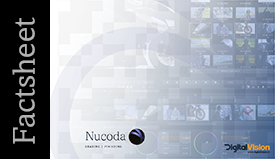 As a comprehensive colour-correction system for file-based image processing, the new panel offers unprecedented flexibility and dramatically improves the performance and productivity of colourists. Every tool has extremely powerful isolation and routing functionality. Isolation can be matte based, user-defined shape based or undertaken via sophisticated keyer functionality. Layers can be selectively cached to streamline operations and greatly enhance user interactivity. Multi monitor support with different resolution configurations makes working on complex timelines a breeze. Effect save and recall – save and recall effects using notes, from single effects to complicated multi-layered effects. Create a library of notes and apply to any segment on any timeline in any project. Rendering engine – unobtrusive background rendering ensures you always have the best results available without interruption. 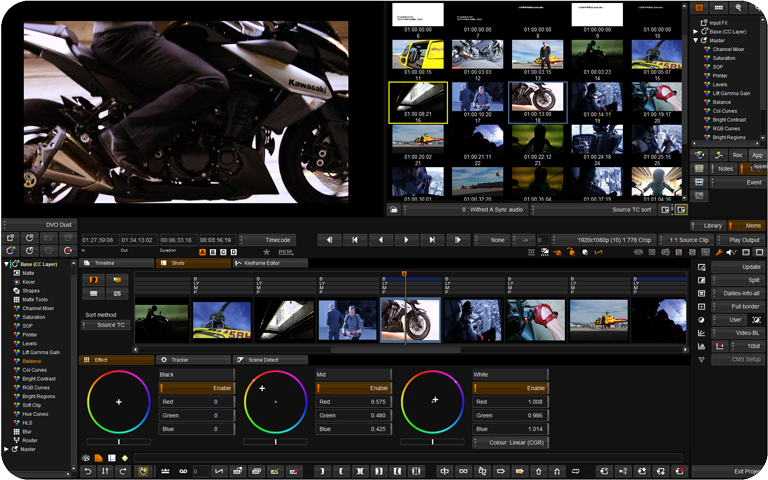 GPU acceleration – realtime Master Layer accelerates rendering for Pan & Scan and Colour Correction work. Multiple formats can be used and delivered from the same timeline. Globally apply final crops or resizes. The Tangent Element is a modular and affordable control panel. It is expandable to suit any requirements and is very robust. The balls and rings are sensitive and allows for fine control. It includes software to customise the tool layout and mapping. Nucoda fully supports custom mapping on the Element Panels. Creative tools to improve detail, remove the unwanted and add that extra touch. With over 25 years of research and development the company’s DVO image processing tools have become the most revered tool set in the post production industry. Providing the very best quality tools for restoration, enhancement and format conversion. DVO Grain – Need to manage grain? DVO Re-grain – Need natural film grain – fast? Use DVO Re-grain to quickly set up and generate natural looking film grain, matching almost any type of film stock. Use the intuitive controls to set grain size and sharpness, and match the characteristics of the highlight and lowlight intensities. DVO Brickwall provides an extremely sharp cut-off at a user-defined frequency. This enables you to create an accurately defined spectral content of material for various types of compression pre-processing. Coupled with other DVO tools, the quality of the image subjected to compression can usually be greatly improved. DVO Aperture – Need sharper, crisper pictures? DVO Aperture makes pictures appear sharper using a high-quality spatial filter. This is essential when you’re working with film scans. Film scanners tend to lose a great deal of high-frequency information that DVO Aperture can restore. Together with DVO Grain, you can now sharpen images AND creatively manage the look of film grain.